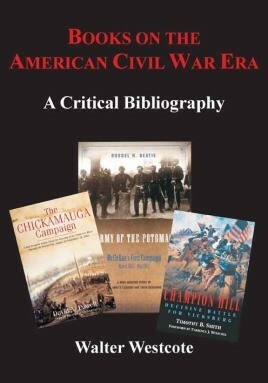 Tens of thousands of books have been published on the Civil War. In an effort to list some of most important titles, in 1997 the University of Illinois Press published The Civil War in Books: An Analytical Bibliography, by David J. Eicher. This well-received reference work includes books published through mid-1995. • An exhaustive examination of the most significant books concerning the American Civil War. • Neatly divides all of the titles into easy to follow sections, including biographies, unit histories, and battles and campaigns. Tens of thousands of books have been published on the Civil War. In an effort to list some of the most important titles, in 1997 the University of Illinois Press published The Civil War in Books: An Analytical Bibliography, by David J. Eicher. This well-received reference work includes books published through mid-1995. As anyone who has studied this era knows, a vast number of significant books have been published since that time—hence the need for this updated bibliography. Walter Westcote's Books on the American Civil War Era: A Critical Bibliography includes nearly 3,000 books, most of which have been published since the appearance of Eicher's groundbreaking 1997 study. Topics are wide-ranging and organized into easy-to-use categories, so readers can find exactly what they are seeking. Organisational categories include battles and campaigns (all theatres, including naval actions), Confederate and Union memoirs and biographies, general works on a vast array of topics, state and local studies, and unit histories. Readers will also be pleased to find a list of classic studies published before 1995, as well as more than 200 books that represent a continuation of a series begun prior to that time, and the completion of the Supplement to the Records of the War of the Rebellion, which consisted of twenty volumes in 1995 but now exceeds 100. Each account lists the author or editor, title, date of original publication (and reprint, if any), publisher, page count, and a short summary of its contents.